ISLAMABAD: Pakistan on Thursday told Indian media to stop propagating against prime minister-in-waiting Imran Khan. 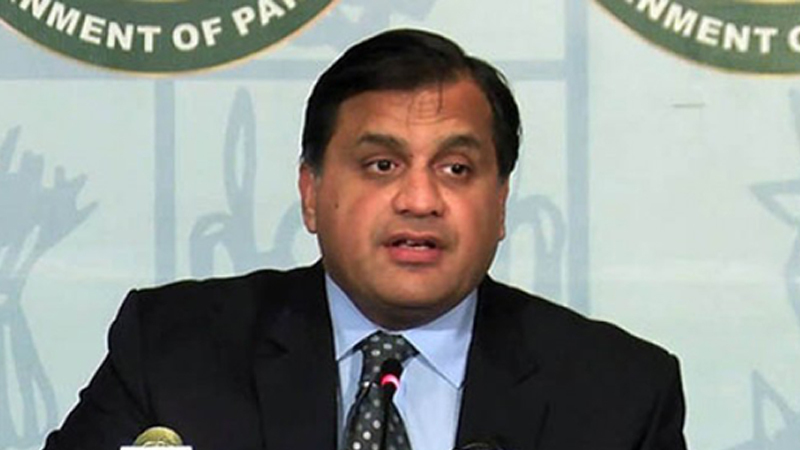 “Indian media needs to grow up,” Foreign Office Spokesman Dr Faisal said during a weekly press briefing here. “Minorities in India are not safe … they need to set their own house in order first,” he said. “India is involved in stoking terrorism in different parts of Pakistan. The arrest of Kulbhushan Jadhav is an ample evidence of it,” he added. The spokesman also rejected the contents of a speech by Indian Prime Minister Narendra Modi against Pakistan. “There is nothing new in his statement,” he said. Strongly condemning Indian brutalities in Held Kashmir, the spokesman urged New Delhi to permit the UN commission of inquiry to visit the occupied valley and ascertain facts on the ground. “India is carrying out ceasefire violations on the Line of Control to divert world’s attention from atrocities in Kashmir,” he said. Regarding Afghanistan, the spokesman said, “Pakistan and Afghanistan are engaged in developing a time-bound repatriation plan for early and complete return of Afghan refugees to their homeland.” “An Afghan delegation will soon be visiting Islamabad for consultations,” he added. Responding to a question, the spokesman rejected as ‘baseless’ Afghan allegations that elements from Pakistan were involved in a recent terror attack in Ghazni. “There is no evidence to back up these spurious accusations. Pakistan does not have any information about killing of any Pakistani in Ghazni attacks,” he said. “Pakistan has always supported an Afghan-led and Afghan-owned peace process and it will welcome any ceasefire agreement between the parties there,” he asserted. About erection of fence along Pak-Afghan border, the spokesman said the project would go beyond 2019 due to long and tough terrain and security hazards. When asked to comment about terrorist attack on a police post in Gilgit and its possible link with construction of Diamer-Bhasha dam, the spokesman asserted that Pakistan would not tolerate any hurdle in the construction of the dam. On a delegation of the Financial Action Task Force (FATF) which is currently visiting the country, Dr Faisal said Ministry of Finance officials are working with them. The FATF delegation is in Islamabad to review the implementation of an action plan it issued earlier this year. The delegation, comprising members of Asia Pacific Group on Money Laundering, is visiting to have a detailed review of a report submitted to the global watchdog by Islamabad.